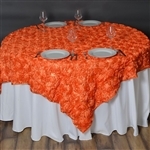 A well-dressed table plays an important role in impressing the guests and making the most humble of event look colorful. 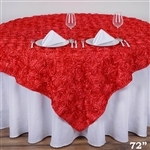 The 72" x 72" Grandiose Rosette Table Overlays does this with amazing ease! 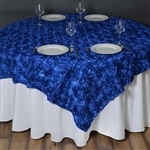 Created for round tables, the Table Overlays provide instant grooming for the table as well as the event. 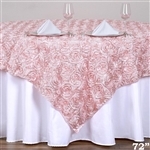 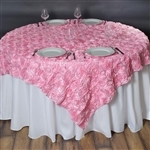 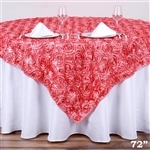 The graceful Rose print table linen is characterized by the three virtues of victory, desire and pride. 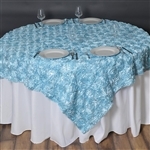 The unique prints accentuate the elegance of the smooth textured linen. 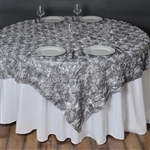 Get one of this table linen and make sure your next event is a unforgettable one. 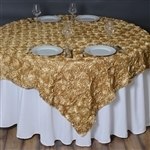 The range of color on offer makes sure you get the table overlays that are perfect for your event.